Viewing religious Zionist theater productions is a profound way of understanding what matters to the sector's young adults. Read about them and enjoy the story of how they took over the leftist and hedonist Acco Theater Festival. 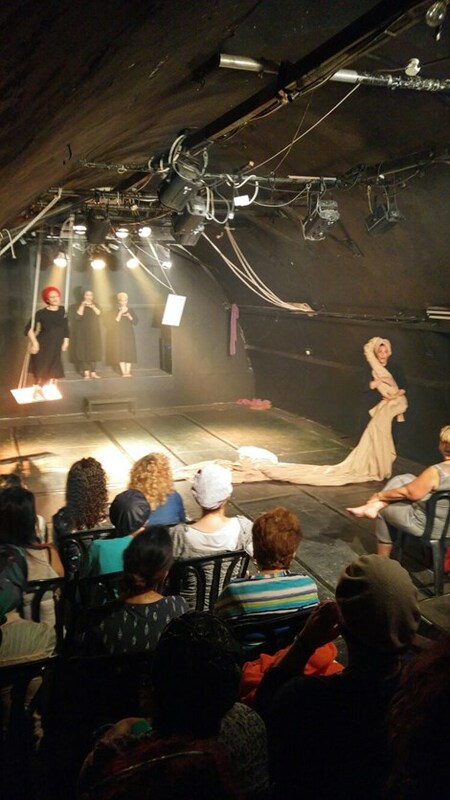 The Acco (Acre) Festival for Alternative Theater has been held on the intermediate days of the Sukkot holiday since 1980, attracting theater groups from all over the world and providing a stage for avant-guard creativity and free expression. Although a fixture of the Israeli cultural scene, it has always been more or less off limits for observant Jews. Language and modesty issues kept the religious away. Radical leftist content kept those on the right away as well, and right wing and religious circles have claimed for years that no drama expressing rightist or religious views was ever accepted by the planning committee. Culture Minister Miri Regev, whose office is the main source of funding, decided it was time for a change this year and refused to fund a play by radical leftist playwright Einat Weizman, who believes the Jewish state should be replaced by a "state of all its citizens," a leftist term for Israel's dissolution. 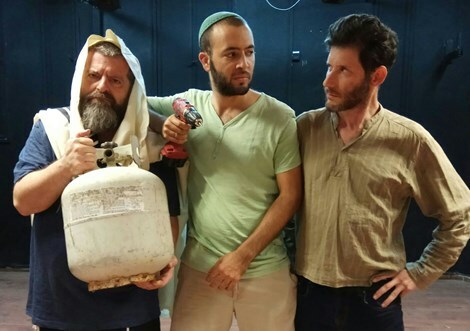 Weizman's play, an empathetic portrayal of terrorists in Israeli prisons, was removed from the agenda, with the support of Acco's mayor, who also funds the festival and is head of the planning committee. This led to the resignation of the festival's artistic head and two members of the planning committee, a boycott by leftist theater groups and a call for people to stay at home. 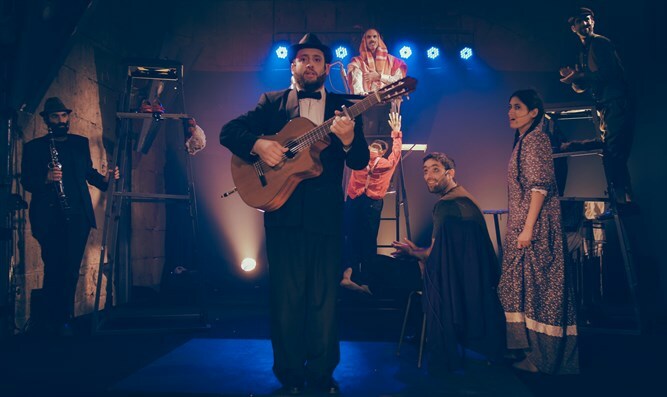 The boycotters, however, may not have been aware of another alternative theater scene in Israel, an entire corpus of plays produced and performed by talented and creative religious Zionist groups. 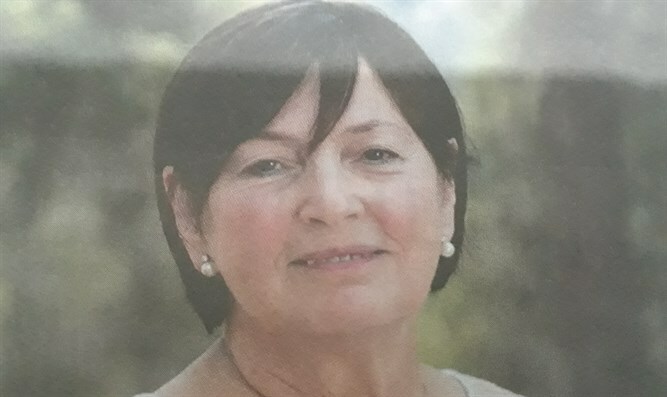 For starters, Emunah College of Arts and Technology in Jerusalem pioneered a successful drama faculty years ago with the permission of the Chief Rabbinate. Some of its graduates appear only before women. Other theater groups have been formed in which only men appear as well as mixed gender groups which avoid physical contact between actors and actresses. 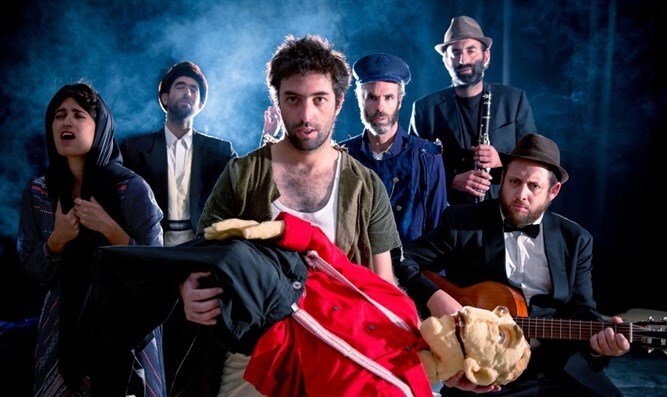 They are thriving because they are good and because there is an audience that wants to attend plays without compromising halakha or simply wants to avoid foul language and bizarre dress. So - responding to the festival's call to all drama groups, religious and rightist writers, producers and actors came forward with new plays created in record time. Arutz Sheva attended the festival for the first time ever - the first time it could even consider it - and chose to see four dramas. All of them were original, thought-provoking, different and professional, all of them halakhically irreproachable. And the Knights Halls of the12th century Crusader Castle which houses the festival was filled to capacity with religious Zionist families as well as secular Israelis, not an empty seat was available in any of the plays chosen, and the free evening street performances were attended by throngs of Jews and Arabs of all ages. So much for threats and boycotts. 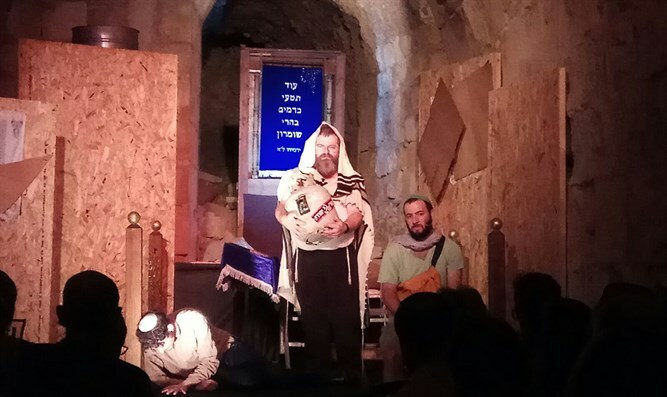 Take a few minutes to read about these four excellently produced and professionally performed, thought provoking plays and learn what is on the minds of Religious Zionist young adults - and how some of them are finding an outlet for their talents after finishing DF and National Service stints. You will want to help them and you will want see the real thing – as you should. 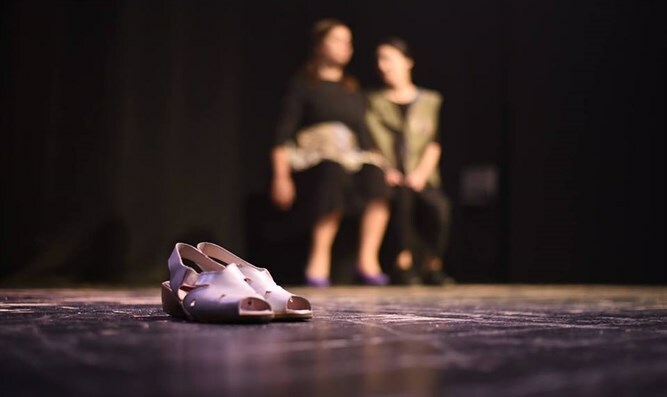 The Nekuda Tova (Good Point) Theater produced an engrossing, au courant drama Tikkun Chatzot, written by Amichai Chazan and directed by Oshy Maimon, whose actors, Shachar Lvov-El, Udi Rosenzweig and Assaf Pniel, augmented their numbers by turning the audience into the synagogue congregation of a Judea and Samaria community on the eve of its slated destruction. The tense situation gives rise to a variety of conflicts: A rabbi-father who hands out the hundred years old mournful Tikkun Chatzot prayer said in the late hours of the night and on principle accepts the longed-for Jewish government's decision despite its injustice, his son who wants to barricade the synagogue and fight the IDF and a friend who turns out to be not what he seems. The mostly secular audience, many of whom know little about the Judea and Samaria enterprise and had never thought through the emotional situation and ethical dilemmas, saw the love for the land of Israel coursing through the actors' veins, could not help identifying with the grief of these Zionist pioneers and then found itself taking sides as the IDF blasted instructions to the residents by loudspeaker. They were still arguing as they left the auditorium at the play's - and the settlement's - end. 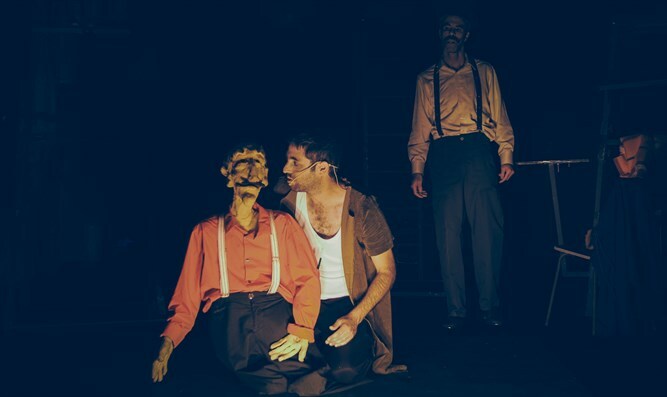 The play asks the audience the unanswerable questions raised by the Holocaust. The play exists in the mind of a survivor who sees himself in prison in his Hungarian home town, except that the prison turns into the places where he once could communicate with G-d. 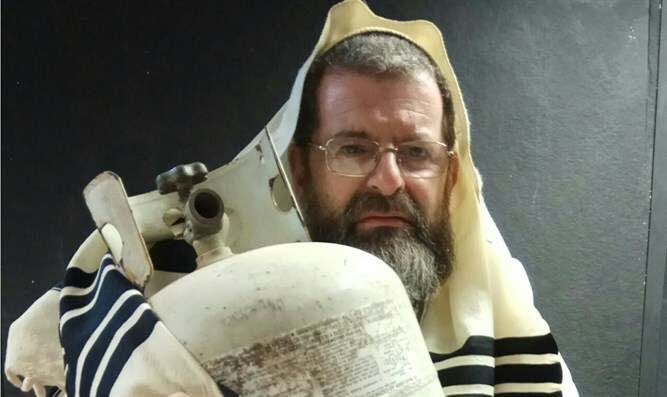 The voice of the Hungarian interrogator drowns out the melodies of his childhood and the hassidim he once knew and he is left destitute, questioning, accusing, while G-d has entered the prison passively looking on at his creations committing a Holocaust. Is this another side of what G-d is, the play asks? The music, performed by Yossi Swed, Shneur Godinger and Meir Kleiner, creates a sense of desolation and tragedy, most notably the inspired choice of the Kaliver Rebbe's mournful Sol a Kokosh Mar, a Hungarian-hassidic song of longing for redemption, sung here with the words of the kaddish prayer. Playwright-actor Assaf Friedman told Arutz Sheva: "The dummy mediates between the actor, audience and G-d. It is everyone and no one, its leading role allows the audience to identify and let loose, a combination that is the only way to create a language of existential faith that affects man's actions and emotions. The play creates purposeful confusion about what is real and what is imaginary, who is acting, who is watching, Who is G-d, who is a life size dummy or a human posing as one." He continued: "Something had to change in the relationship between G-d and the Jewish people after the Holocaust, something that has to be explored, not avoided." This is not a play that one forgets as one leaves the hall. 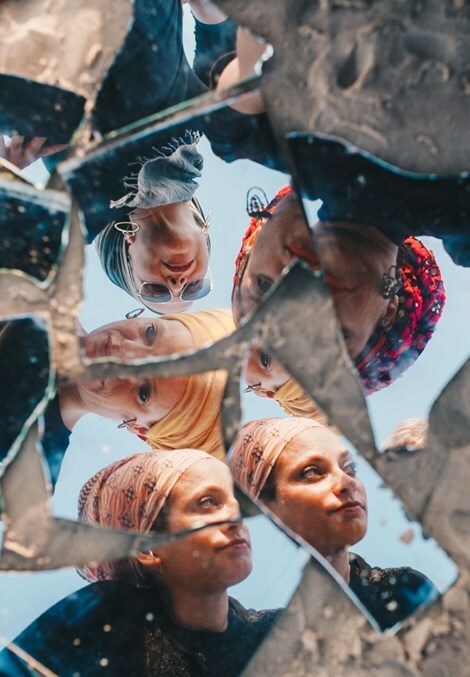 The play, named for a quote from the Hebrew version of "Ring around the Rosie", is a wise and witty portrayal of womanhood performed by four women and for women only. Interestingly, all the actresses were married and had their hair covered with stylishly tied head scarves. 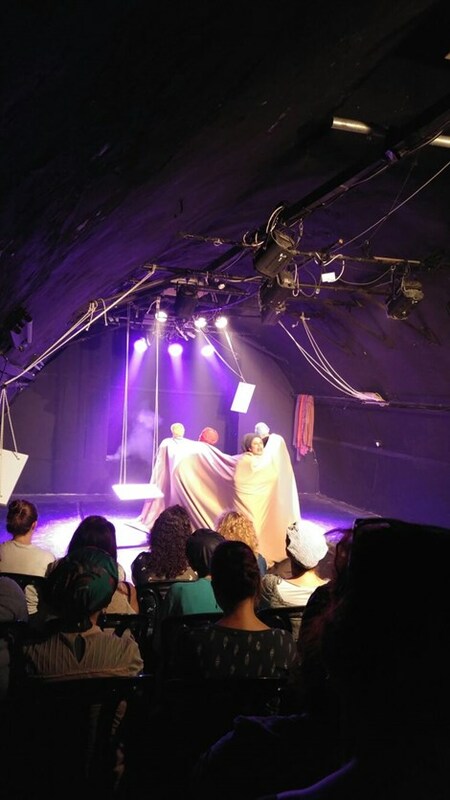 A piece of gold-colored fabric that swathes the entire performing area and three white swings become the medium for the different stages and challenges in the actresses' lives – four souls that descend from the heavens, emerge from the floorcloth and search for their place in the scheme of things, reliving their experiences - from growing up with a mother who is 'different,' to a too friendly man on a bench and a too friendly neighbor, to the difficulties in finally finding ones' besherte, to blues about not giving birth naturally. The fast-moving play mirrors their whirlwind multi-tasking lives and has the audience concentrating every second. The acting is excellent and one is literally caught up in the swirling fabric of these young women's existence, even their dreams of Prince Charming recited in the King's English while standing on the swings find a place in our souls. Almost overwhelmed by all the simultaneous pressures pulling at today's women, they manage to project depth, reflect a sense of mission, talk about how they always have a sense of G-d's Presence in their lives and are grateful for His bounty.. 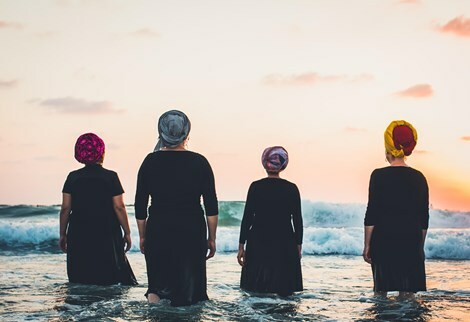 The group includes director Einat Kirshner-Goldberg and actresses Shira Cahana, Liat Leibowitz (also producer, can be reached at +972524419346), Zehavit Keren, Tamar Pogatch, all from Emunah College and one, a baalatt teshuva, is a graduate of the famous Beit Tzvi Israeli drama studio. The five created the play together. 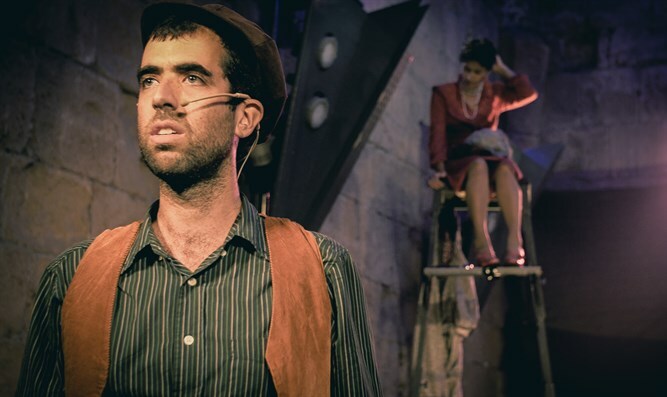 Hod Schwartz and Shiran ben David, both from the Galilee, took Michael Sheinfeld's best selling Hebrew book "Losses" that takes place in the lost and found at a railway station and turned it into an arresting play performed by the duo. "Have you ever lost something, they ask the audience?" and go on to show how tragic it is when it is people who are lost. The two actresses deftly change their shoes over and over to become the different people who appear in the story..
"In this room there are many losses, not simply objects but fractured lives," they say. The student in charge of the lost and found sees the lost opportunities, the lost hopes, and is visited - separately - by two Holocaust survivors looking for things they lost. The two were in love when the war broke out and separated them, They had promised to be true to one another, but each thinks the other has perished – and the student is confronted with the choices they made as they continued to live their lives. He, too, has to make a choice once he discovers they are both alive. Religious Zionist credo believes that observant Jews can be a successful part of every endeavor in the Jewish state and continue to lead Torah-true lives. These young Israelis have proven them right once again.